Transport Minister Meegan Fitzharris is offering a lucky few the opportunity to board light rail two days before the rest of Canberra. Photo: George Tsotsos. 300 Canberrans will receive the opportunity to ride the light rail two days before the rest of the public, with the ACT Government opening a public ballot for the first several hundred tickets. 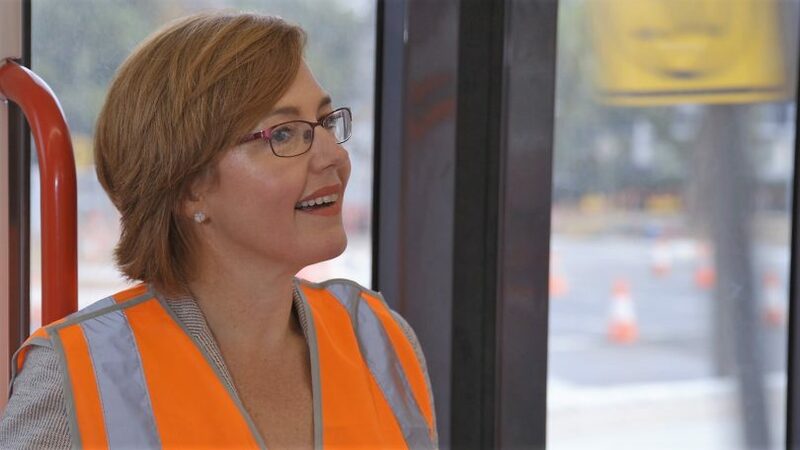 ACT Transport Minister Meegan Fitzharris announced on Tuesday the light rail will be opened to the public on the Easter long weekend but is offering a lucky few the opportunity to board the vehicle two days before the rest of Canberra. 150 double passes are up for grabs to board the vehicle on 18 April, and Ms Fitzharris encouraged everyone to enter. The Transport Minister said the start of light rail was an “incredibly exciting moment in Canberra’s history”, with many people “eagerly waiting to get on board”. “Canberrans have seen the progress of light rail all the way from the planning stages to now seeing light rail vehicles running up and down the route as they complete their final tests,” she said. Light rail will officially open to the public two days later on Saturday 20 April with free travel for the community to come and try light rail from Gungahlin to the City. Canberrans are encouraged to leave their car at home and take advantage of free buses that will run across the network to get people to and from the City and Gungahlin Terminal. Ms Fitzharris boarded the light rail on Friday morning (22 March) with a crew of journalists and support staff for an exclusive ride before it launches in less than a month. Want to be among the first Canberrans to ride the light rail network? Want to be one of 150 people to win a double pass to ride the new light rail network two days before the rest of Canberra? Here’s ACT Transport Minister Meegan Fitzharris MLA encouraging everyone to enter a ballot that will give a lucky few the opportunity to get on board the special preview light rail ride. “I think this was my third ride now and it’s incredible to be on light rail to really appreciate the extent of this massive infrastructure project and the work that has been undertaken,” she said. “You really get a feel from being on the light rail travelling down Northbourne Avenue how truly transformational this is going to be, not just for public transport but for the heart of our city, the work that is being done to design a world-class light rail system with world-class stops and world-class infrastructure. Ballot entries close on 3 April and are restricted to one entry per person. Enter the ballot by clicking here.